AWS Documentation » Amazon SimpleDB » Developer Guide » Using Amazon SimpleDB » Request Authentication » What Is Authentication? Authentication is a process for identifying and verifying who is sending a request. 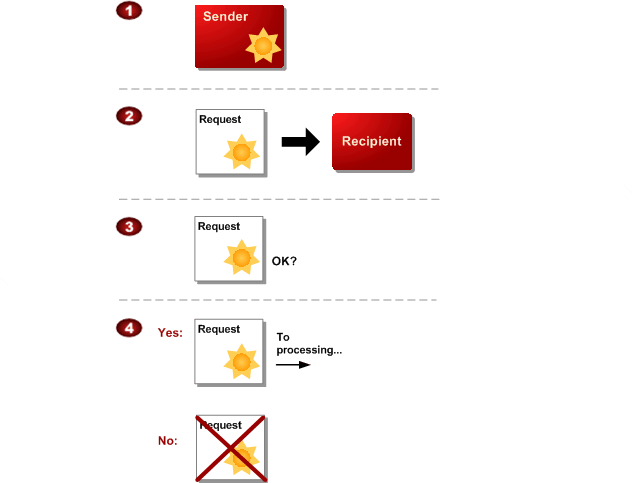 The following diagram shows a simplified version of an authentication process. The sender obtains the necessary credential. The sender sends a request with the credential to the recipient. The recipient uses the credential to verify the sender truly sent the request. If yes, the recipient processes the request. If no, the recipient rejects the request and responds accordingly. During authentication, Amazon Web Services (AWS) verifies both the identity of the sender and whether the sender is registered to use services offered by AWS. If either test fails, the request is not processed further. The subsequent sections describe how Amazon SimpleDB implements authentication to protect you and your customers' data.